SURP as a globally competitive learning and research institution in the fields of urban, rural and regional planning within an archipelagic and tropical environment comprising of landscapes and seascapes in a developing economy. SURP as a center for learning and research in the development of innovative theories, tools and sustainable practices in urban, rural, and regional planning that are adapted to developing countries. Extending technical assistance to government, non-government organizations (NGOs), people’s organizations (POs), private sector, and other academic and research institutions on policy formulation and plan preparation for the development of localities, regions and the nation. Disseminating new knowledge on urban and regional planning theories, tools and practices through the school’s publications and training programs. Protecting and advancing the welfare of society particularly the poor and promoting social justice and equity in the formulation of development plans and programs. Increase enrollment of planners from poor municipalities to the Diploma course and training programs of the school through cross subsidies and scholarships. Dr. Primitivo C. Cal envisioned the School to be a center of excellence in the field of urban and regional planning– an internationally renowned urban and regional planning educational institution with excellent academic programs, faculty members, facilities and support services. His mission during his term, aside from making available a pool of capable professional urban and regional planners, is that the School provides assistance in the improvement of human settlements and the environment through coordinated and comprehensive development studies and plans; strengthen and assist government agencies and private organizations in studying and solving problems of planning and development; and facilitate the implementation of development proposals at the national, regional, and local levels. The thrust of Dr. Cal’s administration takes off from the Ten-Year Strategic Plan of SURP for 2003 to 2013. It saw the need to improve graduate programs, research, and delivery of extension services. Focus on the upgrading of existing graduate programs instead of creating new ones. Improve the magnitude and quality of research and publication of research output. Improve the delivery of training and other extension services. In the formulation of the Action Plan, the vision of the University was taken into account, as well as advancements in science and technology, globalization, including trends in Urban and Regional Planning education and, existing and future urban and regional needs in the country and Asia. The improvement of the School’s facilities is also programmed in the succeeding years to create an excellent academic environment. The School takes advantage of the great strides in technology, particularly information technology. As spatial planning is a major part of its curriculum, the School equips itself with modern software and hardware to support it. It adapts to the advancement in computer technology as well as through the establishment of collaborative linkages with individuals and institutions like the UP SURP Alumni and Friends Foundation, Inc. (SAFFI) for assistance and support. In fact, the SAFFI has donated funds for the new Spatial Planning Laboratory of the School. Under the tutelage of Dean Cal, reforms have been initiated in the School’s various divisions and units such as the implementation of a pro-active administration of theses and dissertations, the conversion of the School’s journal into a refereed journal and the development of more customized training programs. The aim of faculty recruitment is to achieve a desirable profile of faculty in terms of expertise and rank. All these initiatives are geared to accelerating the pace towards the attainment of the vision for the UP School of Urban and Regional Planning. – Student Performance Indicators show that in the academic year 2005-2006, thirty two (32) students qualified for graduation after the second semester, while six (6) students qualified for the summer term 2005. For that, eleven (11) students qualified for college scholar status and six (6) for university scholar status. In the first semester of Academic Year 2005-2006, twenty seven (27) qualified for graduation. – With regards to Research and Publications, a total of eighteen (18) research projects were started, being continued, and completed by the faculty and staff of the School (Table 1). Of these projects, at least nine (9) were headed by a SURP faculty (as Project/Study Leader or Author). Funding information (amount and sources) and outputs specific to each of these projects are also indicated in Table 1. It may be noted that none of these projects were funded and/or administered by the UP Office of the Vice-Chancellor for Research and Development, while six (6) may be considered in-house research projects. During the Endriga Deanship, the vision of the School to maintain its position as the premier institution for graduate education and research in urban and regional planning in the country have broaden towards gaining increased recognition as a premier institution for planning education in Asia. In addition to the School’s mandate to make available a pool of capable professional urban and regional planners, it was also mandated to provide assistance in the improvement of human settlements and the environment through coordinated and comprehensive development studies and plans; strengthen and assist government agencies and private organizations in studying and solving problems of planning and development; and, facilitate the implementation of development proposals at the national, regional and local levels. The School’s four-fold functions of graduate education, training, research and extension have always revolved around these mandates. Emphasis was also placed on the role of the faculty in society. The faculty was encouraged to play a more active role as social critic, consistent with the role of the University in society. Since the School has already gained credibility, it was time to make the voice of the faculty heard. With regards to its Academic Program, Faculty Recruitment and Development was given importance. The Professional Regulation Commission (PRC) Modernization Act of 2000 (RA 8981) required teachers of professionalized courses to be licensed. In view of this, only highly qualified and professional urban and regional planners were recruited. For the current faculty, competence was upgraded through seminars and academic discussions. They were also encouraged to publish in internationally-refereed journals and a new round of faculty development for doctoral degrees, preferably obtained from prestigious universities abroad, was started. The faculty was also encouraged to take an active part in the discussion of planning-related issues or broader social issues where a planning perspective can contribute to their further clarification. Where a consensus existed on a particular issue, a written institutional position was prepared. Other modifications in the Academic Program were also introduced such as the review of curriculum and course contents and their enrichment to reflect the new emphasis. More instructional materials were obtained. The School continued the acquisition of appropriate technologies to aid teaching. Efforts were also made to acquire and produce Filipino materials on planning and development. With regards to Student Recruitment, the School did not rely on applicants for admission but invited enrollees from the local planning and development officers. A regular dialogue between faculty and students was also instituted. The School conducted basic research in support of graduate education. The faculty was encouraged to write textbooks, reference books, and other resource materials of publishable quality. Applied and action research in support of training and extension services were also undertaken. The Research Office also provided the staff support to the training office in the preparation of training modules and other instructional aids. This vital activity was carried out jointly with UP PLANADES, the School’s research foundation. The research staff was also assigned to assist in the formulation of institutional positions on particular social issues. The updating and publication of the Philippine Planning Journal was sustained. Indexing and updating of other planning reference services in coordination with the school library staff was undertaken on a continuing basis. It was during the term of Dean Endriga that the following books were published with the support from UP PLANADES: “The Restoration of Historic Intramuros: A Case Study in Plan Implementation” (2003); “The Language of Environmental Planning” (2004); and “Property, Patrimony and Territory: Foundations for Land Use Planning in the Philippines” (2004). Training courses were also developed such as The Special Course in Urban and Regional Planning (SCURP) which was revived in Diliman in association with the autonomous units of the University, the leagues of provinces, cities and municipalities, and the league of local planning and development coordinators. The school likewise conducted custom-made training programs in response to requests by specific clients. In terms of linkages, the School established a system of collaboration with the Civil Service Commission (CSC), the Local Government Academy (LGA) and other training institutions concerned with capability-building to upgrade the competence of local planning and development officers. It initiated efforts towards the accreditation of participants in special planning courses towards their eventual confirmation and eligibility as professional planning practitioners. The relationship of the SURP with the Philippine Institute of Environmental Planners (PIEP) as the accredited association of professional planners and the Professional Regulation Commission (PRC) as the regulatory arm of the government for all professionals had been strengthened. Existing linkages with similar institutions abroad such as the University of Dortmund, American Planning Schools Association (APSA), and the like were also maintained. During Dean Endriga’s term, the School explored and tapped sources of additional funds, other than PLANADES, both local and foreign, to enable the School to upgrade and modernize its services, facilities and other instructional materials. The alumni were also encouraged to assist in resource generation. The administration continued to look for income augmentation schemes for administrative personnel. The period of nineties (90’s) onward was characterized as a period of massive global urbanization. The trend was expected to continue into the next millennium. In Metro Manila and suburbs, serious environmental problems such as, among others, traffic congestion, insufficient solid waste disposal sites and, poor air quality have actually worsened over time. Similarly, the deteriorating or greatly deteriorated environments in many Asian cities and urban centers could hardly be supported by their current levels of urban services and resources. This situation was further aggravated by the pressures and demands of an ever-increasing urban population. The existing situation gave rise to the urgent need for urban planning. The eventual popularization of planning ushered in a new administration under the leadership of Dr. Benjamin V. Cariño. The formidable task laid out by the 1991 Local Government Code of devolving the planning functions to the local government units became an added challenge to the School. This defined the direction of Dean Cariño’s nine-year term. Activities and programs for teaching, training, research, and extension services were all geared toward assisting local government units in the preparation of their Comprehensive Land Use Plans or CLUPs, as well as in the development of a pool of professional planners at the local level. To address the growing demand for capable professional urban and regional planners, the School increased its degree offerings. In June 1992, the Diploma in Land Use Planning was offered for the first time. A total of 20 students from all over the country enrolled in the one-year program. The Master of Arts in Transport Planning was also introduced in coordination with the National Center for Transportation Studies (NCTS). The School maintained its linkages with various government agencies such as the NEDA- NLUC where it contributed substantially in the drafting of the National Land Use Act. Through its Training Unit, the School conducted four trainings between 1992 and 1993. Among the more significant ones are the Training on Metropolitan and Urban Planning of Baguio City, La Trinidad, Itogon, Sablan, and Tuba (BLIST); the Seminar-Workshop on Investment Programming funded by the Natural Resources Management and Development Project (NRMDP) and the Training Program for Metro Manila Authority-ODGMP and Local Planning Staff of Metro Manila cities and municipalities. In the mid-nineties, the Master of Arts program in Regional Development Planning (SPRING-Asia) was launched. SPRING, an acronym for Spatial Planning for Regions in Growing Economies, is a professional graduate program in regional and district development planning and management jointly offered by the University of Dortmund, Federal Republic of Germany, and the University of the Philippines through SURP. The program entailed joint research and faculty exchange. In an effort to expand its diploma degree program, the School implemented an off-campus program for Public Estates Authority (PEA) staff in 1995. Between 1994 and 1997, the School saw a few new faces in its faculty: Dr. Olegario G. Villoria, Jr. in 1994; Dr. Hussein S. Lidasan, Dr. David T. Yap in 1995; Dr. Rachel H. Racelis in 1997; and Dr. Mario delos Reyes in 1999. In line with its thrust to democratize access to its graduate programs, the School established a Diploma program in Urban and Regional Planning in the campuses of U.P. in Cebu and Davao City. It assigned as course coordinators Professors Manuel L. Javier in U.P. Mindanao and Marqueza L. Reyes in Cebu. In 1997, the diploma program expanded to U.P. in Iloilo with Professor Llena P. Buenvenida as course coordinator. The following year, the program was introduced in U.P. Baguio with Professor Carmelita R.E.U Liwag as overall coordinator. In 1998, a Master in Urban and Regional Planning program was established in U.P. Mindanao. In the area of extension work and consultancy, the School through its foundation, U.P. PLANADES, played a very active role in various planning-related studies as well as in the preparation of Comprehensive Land Use Plans of cities and municipalities all over the country. Toward the end of his term, Dean Cariño appointed new members to the faculty, namely: Prof. Carmelita R.E. U. Liwag, Dr. Marideth R. Bravo, and Dr. Cresencio M. Montalbo, Jr. After completing his third term as Dean of the School on June 30, 2001, Dr. Cariño was succeeded by Professor Dolores Endriga. The changing of the guard at the helm of the School coincided with the prevailing uncertainties that marked the period soon after the momentous EDSA Revolution in February 1986. Because of the heightened interest in nation-building, the School found itself faced with the challenges of the changing times. Prof. Asteya M. Santiago assumed Deanship of the School in September 1, 1986. To respond to the changing requirements of the academic and national community, the School focused on faculty and staff development. It had to address problems concerning, among others, the disproportionate number of faculty and administrative staff support vis-a-vis student enrollment, and inadequate and, in some cases, obsolete facilities and equipment, including library resources. Amidst the political turmoil of the late eighties, the School was able to continue in its tradition of contributing to national development and progress. Affirming and reinforcing its relevance to the University and the wider community was a major thrust of Dean Santiago’s administration. The School participated in the crafting of the 1987 Constitution as it was consulted on the provisions on planning and human settlements. The 1987 Constitution became the basis for the formulation of RA 7279 (Urban Development and Housing Act) and RA 7160 (Local Government Code). The School also actively participated in legislative proceedings on the drafting of the Urban Land Reform, which eventually led to the drafting of PD 1517 (Urban Land Reform Code). Moreover, through its faculty members, it made substantial contributions in the preparation of the Charter on the Agricultural Policy, the plans for an Integrated Area of Protected Network and, the criteria for the formulation of the National, Regional and Provincial Physical Framework Plans. When then U.P. President Jose Abueva was appointed Chairman of the Legislative-Executive Bases Council, the School got involved in the preparation of the Military Bases Conversion Plan. As far as multi-disciplinary and multi-agency involvements are concerned, the School was privileged to have been tapped to participate in various inter-agency government committees including the NEDA-National Land Use Committee (NLUC). The Present Filipiniana Section of the SURP LibraryIn line with its vision of transforming the SURP Library into a key support facility of its academic program, the School saw the urgent need to immediately improve the library’s resources and facilities to further strengthen its role as a central repository of planning-related materials in the country. Toward this end, it put up a Filipiniana section and allocated a separate room for valuable materials on the Military Bases Conversion Program in the development of which the school actively participated in. U.P. was designated as the lead institution in the development of Conversion Plans for the air base and naval base of the country from military to commercial uses. The Dean of SURP was designated Executive Director of the Legislative and Executive – Bases Council created for the purpose. Throughout the late eighties, the School was aware of the global concern on the environment. The School saw the need to emphasize environmental matters in urban and regional planning. Notwithstanding recruitment problems associated with some of the University’s policy, it was deemed necessary to hire faculty members who had some expertise in this field. In 1987, 25 students graduated from the School, including Korean national, Mr. Byong Gyu Park, its first PhD graduate. Onto the nineties, the School began admitting new students during the second semester giving rise to increased enrollment. In response to the growing demand for more professional planners in the country, the School pursued the adoption of a diploma course in urban and regional planning. After three years of sustained efforts, the proposed program was finally approved by the University in early 1992. This opened the door wider for government employees and officials to answer the call for more competent planners. The term of Dr. Asteya M. Santiago as Dean of the School of Urban and Regional Planning ended on April 30, 1992. In April of 1966, the Institute of Planning separated from its Mother Unit National College of Public Administration and Governance, then known as the (Institute of Public Administration) as the Board of Regents appointed Dr. Leandro A. Viloria as the Institute of Planning’s Director, and Professor Federico B. Silao as its Acting Secretary. In August that same year, Dr. Viloria was sent abroad on a Colombo Plan fellowship. 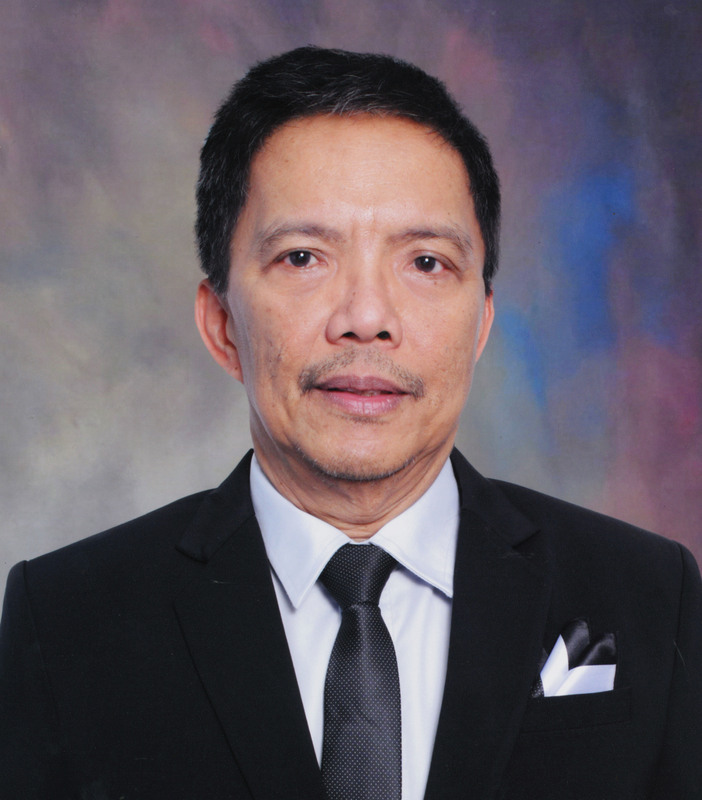 Appointed as Officer-in-Charge of the Institute was Dr. Abelardo G. Samonte of the College of Business Administration. Meanwhile, other professors also started to leave for abroad also through the Colombo Plan. Professors Asteya M. Santiago and Geronimo V. Manahan were both sent to Australia to pursue their Masters in Town and Country Planning at Sydney University. Through the persistence of UN Consultant Mr. Walter G. Faithfull and Prof. Silao in lobbying at the Budget Commission, funds for the Institute were made available that December. Mr. Faithfull, who had finished his term in May 1966 and had gone back to Australia, was requested by the government to return for another assignment of one year. In 1967, Mr. Faithfull returned to the country to assist in the establishment and building up of the Institute. Initially, the teaching function of the Institute was performed within the regular academic program of the College of Public Administration where faculty members of the Institute handled College graduate courses dealing with planning concepts and techniques. By the end of 1968, the first batch of scholars sent abroad had all returned after obtaining their Masters degrees: Professors Villoria, Tito C. Firmalino, and Gerardo S. Calabia from the University of British Columbia in Canada and Professors Santiago and Manahan from Sydney University. In February the following year, Prof. Silao departed for Australia to pursue his Doctorate degree in Town and Country Planning also at the Sydney University. New recruits to the faculty in 1967 included Professors Lita S. Velmonte, Cesar O. Marquez, Rosario D. Jimenez, and Cynthia D. Turingan. In June 1968, the United Nations Development Program (UNDP) assistance commenced just as the Institute was beginning to expand and develop its programs of applied research, consultation, graduate education, and in-service training. The special fund allocation with government counterpart paved the way for the posting of UN experts and consultants here, funding faculty fellowships, purchase of library books and equipment, and the full operation of the Institution’s mandated functions. One of the experts involved was Mr. Frank Martocci, who made significant contributions to the enhancement of the details of the UNDP assistance. In August 1968, Mr. Faithfull arrived in Manila as the project manager for the Special Fund project. He was supported initially by a team of seven experts consisting of a regional planner, two physical planners (one for urban planning and another for rural planning), a land and development economist, an expert in the legal aspects of planning, an expert in planning control and implementation, and an urban sociologist. For the duration of the three-phased project, Mr. Faithfull was succeeded by 18 other international experts. With the return of three of its staff from graduate training abroad, the Institute started offering the full-fledged graduate program in Environmental Planning in the academic year 1968-1969. This one year program led to a degree in Master in Environmental Planning (MEP). As conceived, the MEP program was meant to stress the comprehensive nature of planning and to cover all phases of the planning process as it is carried out at various levels of government. The program was given a boost when, in February 9, 1968, then-Executive Secretary Rafael M. Salas issued Memorandum Circular 156 authorizing and urging all government agencies and government-owned corporations to sponsor their employees who wanted to undergo graduate education or training in planning at the Institute. At about this time, the Institute began to engage in a series of research activities, the first being a bibliographic survey of Philippine literature on planning. Its first major consulting work was a project undertaken jointly with the National Planning Commission and the U.P College of Public Administration to introduce performance budgeting in two pilot provinces, Laguna and Tarlac. Other major researches and projects conducted between 1968 and 1969 were the Cebu City Squatter Rehabilitation and Relocation Survey; the Feasibility Survey of the Port of San Fernando in La Union; the WHO-UP Health Planning Curriculum Development; the Color Trol Land Use Coding System; the Location of Employment Study; the Feasibility Study for an Industrial Estate Project in Sapang Palay; as well as the groundbreaking development of the four-year development plan for the National Library which led to a major overhaul of the country’s chief repository of knowledge. In that same year, three faculty members were sent abroad on a Colombo Plan fellowship: Roque A. Magno and Lita S. Velmonte, both to the University of Sydney, Australia. Prof. Cesar O. Marquez was sent to Oxford Polytechnic in the United Kingdom. The year 1969 was a landmark year for the Institute. The Institute witnessed its first graduates of its Master in Environmental Planning Program, Mr. Teodoro T. Encarnacion and Mr. Marcelino S. Tabin, climb onto the stage during the commencement exercises. Other milestone events during the year included the founding of the Philippine Institute of Environmental Planners (PIEP) on October 16 and the publication of the maiden issue of the Philippine Planning Journal (PPJ). Throughout all these years, the Institute continued to operate in a 120 square meter room housed with the College of Public Administration building in Padre Faura, Manila. New additions to the faculty included Professors Cesar O. Marquez, Tito C. Firmalino, and Ma. Eloisa F. Litonjua. On June 9, 1969, the U.P. Board of Regents approved the appropriation of funds for the construction of a four-unit Marcos type pre-fabricated building in the Diliman Campus for the temporary offices and classrooms of the Institute. Later that year, then U.P. President Salvador P. Lopez, released the funds for the construction. It was also that year when Mr. Jose R. Valdeca�as joined the faculty of the Institute. Meanwhile, the joint Centers for Regional Development Studies (COREDES) and the Advisory and Coordination Council on Regional-Urban Development (ACCORD) centers were established under a Memorandum of Agreement between U.P. and the Presidential Advisory Council for Public Works and Community Development (PACPWCD). The ACCORD centers housed a library of maps, data, and other materials for use in regional centers. The 70’s pushed onwards. The year 1970 was marked with the transfer of the Institute on February 2. The year also saw Prof. Cynthia Dionisio Turingan leaving for Rehovot, Israel to pursue a diploma program in Comprehensive Regional Planning at the Settlement Study Center. That year, the Institute decided to shift to a trimestral system. Dr. Ramon C. Portugal was welcomed as the Institute’s newest faculty member. As early as 1971, a number of issues were already being raised with regard to the adequacy of the MEP curriculum for training prospective planners of the country. These concerns were triggered by the increasing proportion of fresh graduates and self-supporting students enrolled at the Institute. Also, more and more students with social science backgrounds were entering the program, in contrast with the predominance of engineers and architects in the early years. The need to strengthen the program to cope with this new trend was therefore felt. For students with inadequate background and experience, a new course on Supervised Environmental Planning Practice (E.P. 292) involving internship of 240 hours in an appropriate agency was instituted. Despite this major improvement, however, the MEP curriculum was still found inadequate by many. In April 1971, the Institute was given authority to conduct evening classes. A graduate scholarship was also offered for the first time. The Institute’s fellowship program was made available to qualified Filipino students. There were four fellowship grants covering tuition and monthly allowances that were offered in June. Mr. Gabriel Ma. J. Lopez was selected as the first I.P. fellowship grantee. Meanwhile, the two-year MEP part-time program was launched to enable working students and professionals to pursue the course. In May that year, Professors Rosario D. Jimenez and Yolanda M. Exconde departed for Rechovot in Israel for a one-year fellowship in Comprehensive Regional Planning at the Settlement Study Center. That year, the latest to join the Institute’s faculty included Dr. Primitivo C. Cal, Dr. Benjamin V. Cariño, Dr. Ramon C. Portugal, Prof. Jose S. Gutierrez, and Ms. Eloisa F. Litonjua. In 1980, the Institute revised its curriculum to accommodate fields of concentration that were consistent with the government�s thrusts: Urban Planning, Regional Planning, Estate Planning and Development, and Public Works Planning and Development. This was a move towards the eventual transformation of the Institute into a Center for Human Settlement Studies. In 1981, the Institute changed the title of its degree program from Master of Urban and Regional Planning (MURP) to Master of Arts in Urban and Regional Planning (MAURP). During the eighties, student enrollment steadily grew, reaching a total of 283 by 1984. Anticipating further growth in student population, the Institute saw that it was imperative to provide more space for faculty, students, and staff. In early January 1981, a Memorandum of Agreement was inked between the Institute and the then Ministry of Public Works whereby the latter would build a three-storey building in the IEP compound for the use of both entities. By June, the building was completed for occupancy. In June, the Institute formally launched the Ph.D program in Urban and Regional Planning. As conceived, the program consisted of common core subjects which every doctoral student was required to pass. The doctoral candidate would then proceed to write a doctoral dissertation and enroll in additional courses as necessary to specialize in urban and regional planning. The following year, the Institute of Environmental Planning was renamed School of Urban and Regional Planning. Prof. Roque A. Magno joined the faculty that year. By the end of 1984, the Institute’s training unit had already completed SCURP VIII, which focused on the planning and management of urban settlements. Its major undertakings that year included, among others, Town and Planning Assistance Programs in consortium with the Ministry of Human Settlements, the Bohol Integrated Area Development Project, and the Redevelopment of the City of Manila. Two more were recruited into the faculty: Professor Donato A. Endencia in 1984, and Professor Victoria A. Eugenio the year after. On September 1, 1986, Dr. Leandro A. Villoria stepped down after 20 years and five months in office, and Prof. Asteya A. Santiago assumed the deanship.